Being someone who strives to use every minute of time in doing something productive, I always try to do my best at what I like the most. I guess that every super computer user should know some and for me its always been a fascination. Wish I had the opportunity to take a class or two back at S.C.C.C., luckily enough I know how to read and analyze. They are probably the greatest tool known to mankind next to the chisel and hammer. I can only say that I am willing to compete. Whether I win or lose is another question. Handball 555's only please, no spalding's. Paddleball same here, and serve to kill. Racquetball without protective body armor. Fishing, sea water and deep if possible. Horseback riding, becoming closer to nature. Tennis singles only, you can't trust anyone. Skiing, the mountain views from the top are the best! Water Skiing, well just hold on to your shorts. Kayaking and Canoeing, talk about wet row boats. Wind Surfing, well let just say that I like it but it doesn't like me. 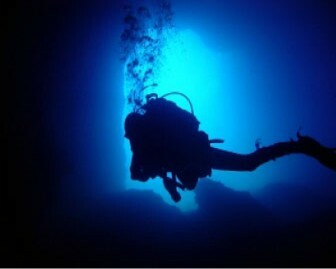 Scuba Diving (cmas**) just the place for peace and quiet. Ju Jitsu, wanna get physical? Wing Chun Kung Fu, Here's where the wisdom of pain begins! Mountain Walks, Hey, I'm game (excuse the pun) if you are! How about a 6 (six) hour walk through the mountainous terrain of Mount St. Athos? and then there is photography, but you can see those pictures using the menu. Kite and wind surfing, have a look at this video clip.